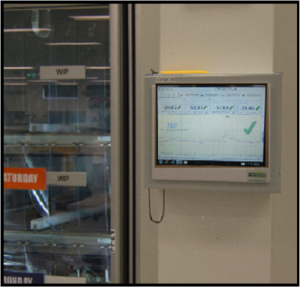 Temprecord Active Display (TAD) is a revolutionary real-time temperature and humidity monitoring system from Temprecord International. 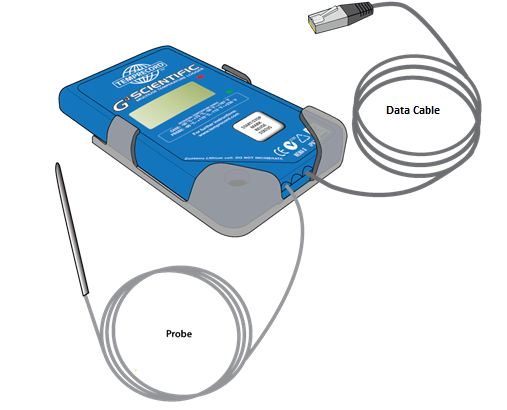 At the heart of TAD is Temprecord’s Scientific multi-use recorder – calibrated and supplied with a traceable calibration certificate to international ISO/IEC 17025 standard. Temprecord Active Display (TAD) Real-time Monitoring is an automated “hands off” system that monitors environmental information as it happens, then sends out a warning enabling action to be taken in a timely manner to preserve valuable products. Fully automated monitoring, warning and reporting system requiring minimal human input, saving time and money as well as reducing the potential for human error. 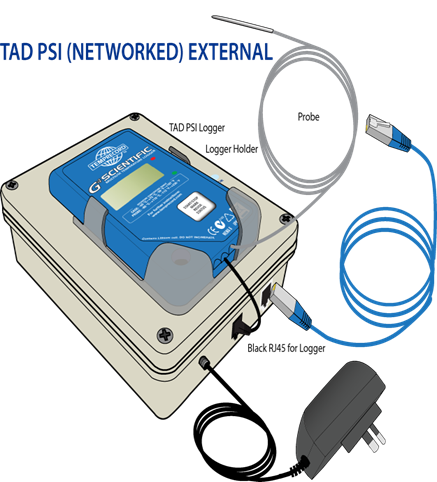 100% reliable – in the event of power failure TAD data loggers continue to log and the data is later automatically extracted to complete the TAD reports, i.e., no data is lost. This has been a huge advantage for our customers with critical products when correlating data has been unavailable. 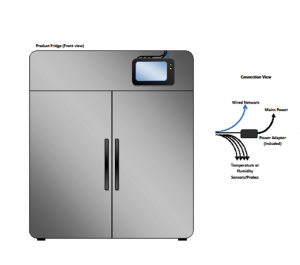 Portable – The monitoring hardware can be moved easily with cabinets as required. Each TAD system will support 240 probes. 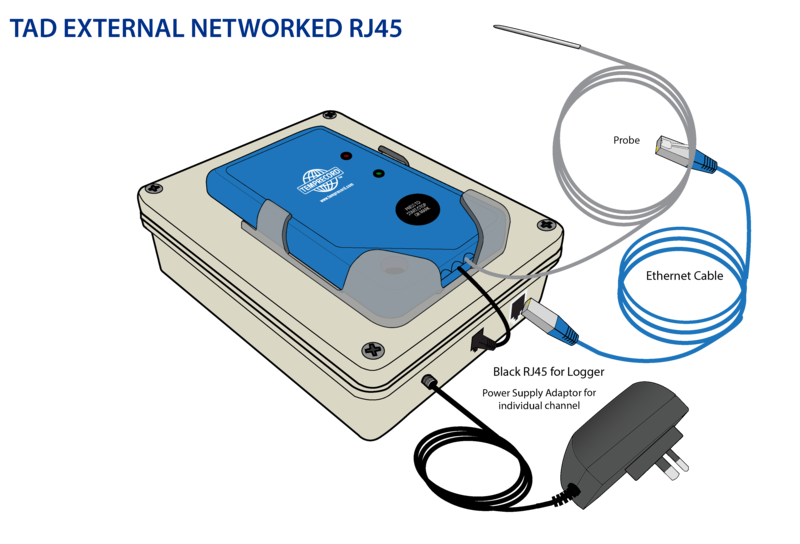 If requiring more than 240 probes then multiple TAD systems can be run, linking with each other via remote access. TAD Software is “Hands off” automated system which is easy to use, but comprehensive. All channels are easily configurable for individual parameters and alert recipients. Temprecord will pre program with client requirements if provided. Training is provided with new installations. All Temprecord software is free. 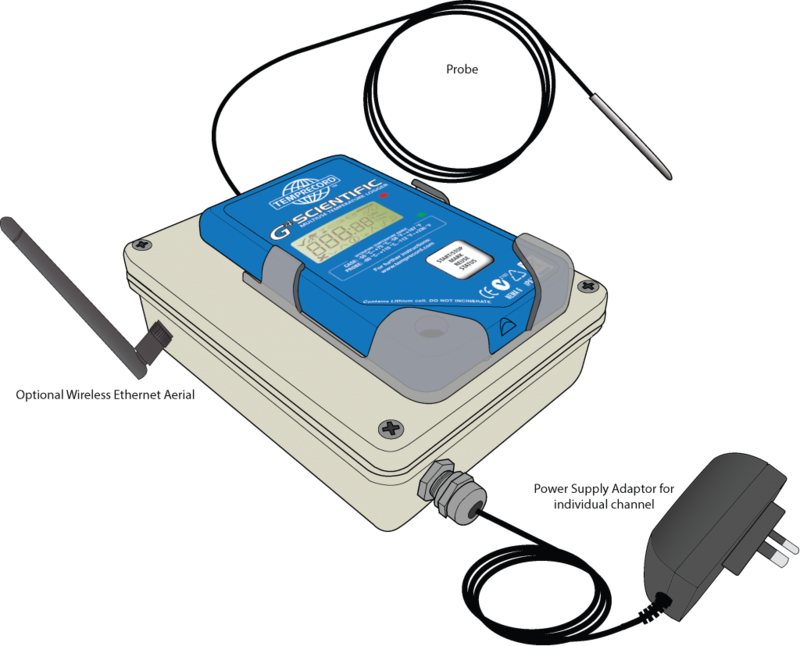 Calibrations are built into the TAD temperature and humidity loggers. No requirement for a correction formula to be applied to the downloaded data after recalibration, therefore potential for human error is removed. Data is available with 0.01°C display resolution. Temperature: 0.2 °C / 0.35 °F or better. Room Pressure Differential: 0.02 of a Pa. The sensors have zero drift and are offset free. 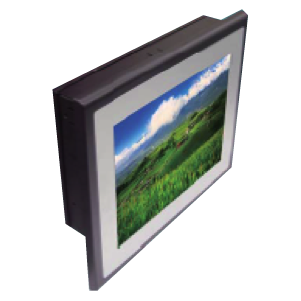 TAD PC Panels are available from Temprecord for use instead of, or as well as PCs e.g., as Slave units. They are touch sensitive, can be suspended on a wall and accessed by multiple users as long as they are authorized and have a working user name and password, increasing the ability to delegate tasks to various Users. The panels are usually utilized where the probes for a designated area report to the individual panel in that area. If remote access is set up by the IT/IS department, the panel can be remotely viewed by other authorised personnel anywhere.